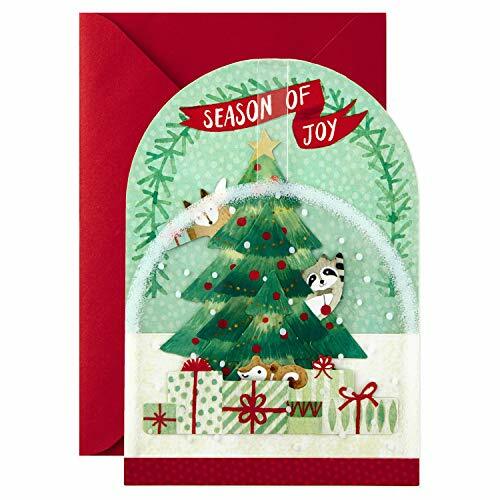 Send warm wishes to someone special on your holiday list with an elegant card that unfolds into a beautiful holiday surprise that can be displayed throughout the season. 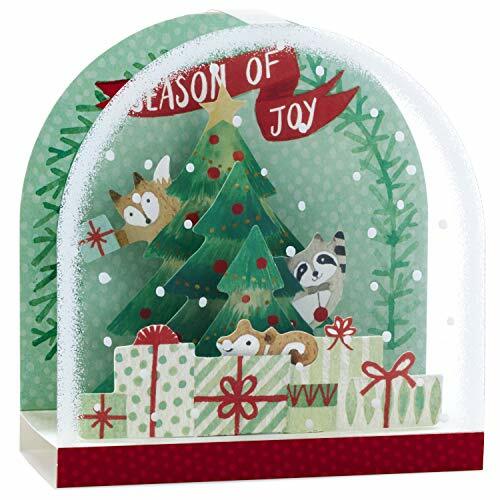 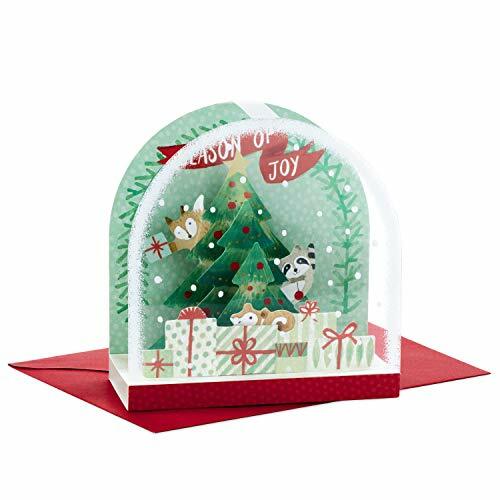 Three-dimensional snow globe design features a raccoon, fox, and squirrel placing presents under the Christmas tree and reads: "Season of joy." 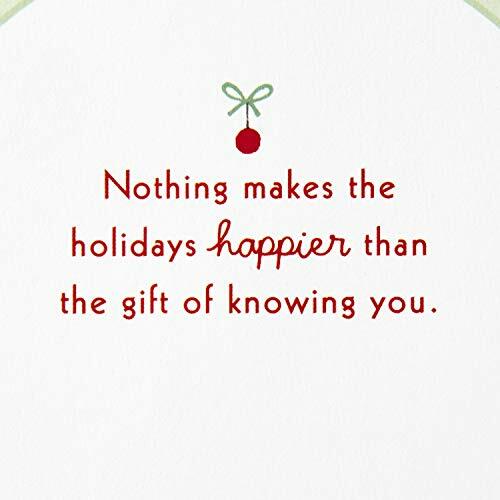 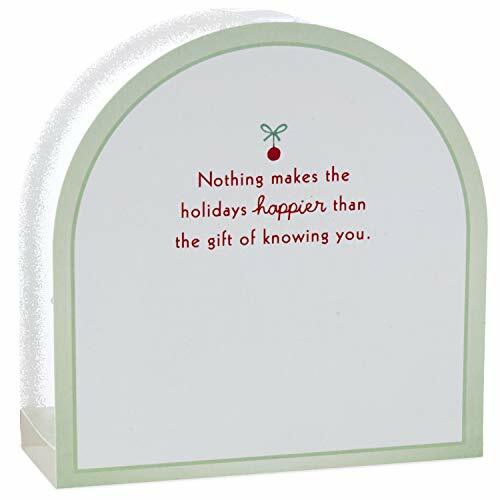 Back of the card reads: "Nothing makes the holidays happier than the gift of knowing you." 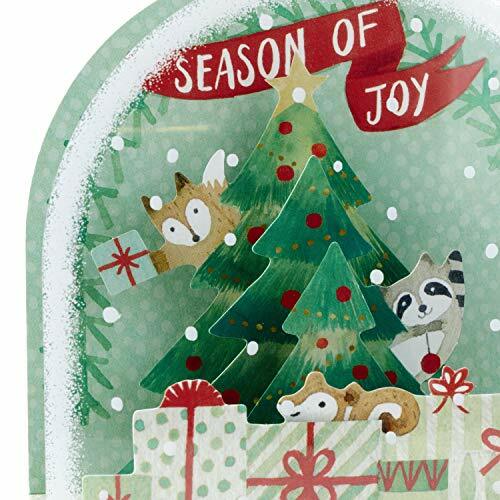 Card measures 5" x 7.2" and comes with a coordinating envelope. 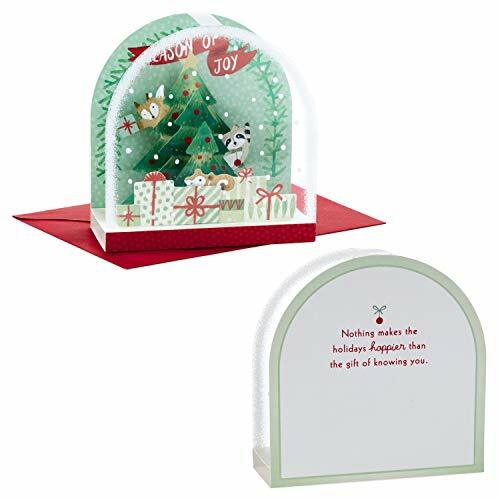 Push in the tabs on the bottom of the card for 3-D display. 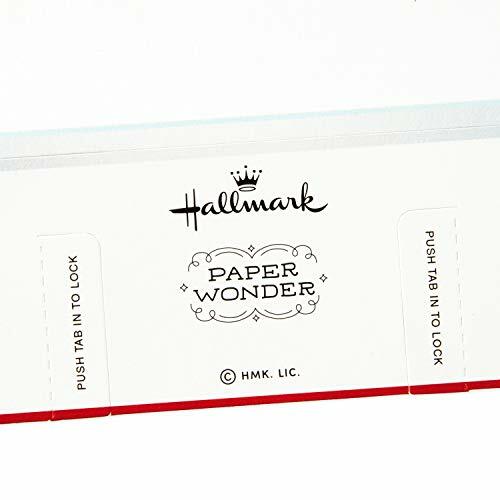 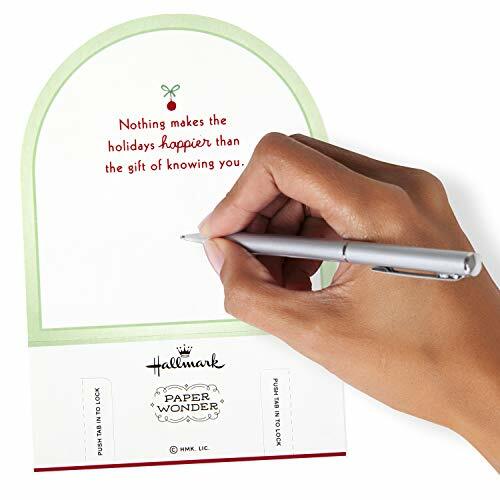 Printed on high quality paper stock, Hallmark greeting cards are made with paper from well-managed forests.